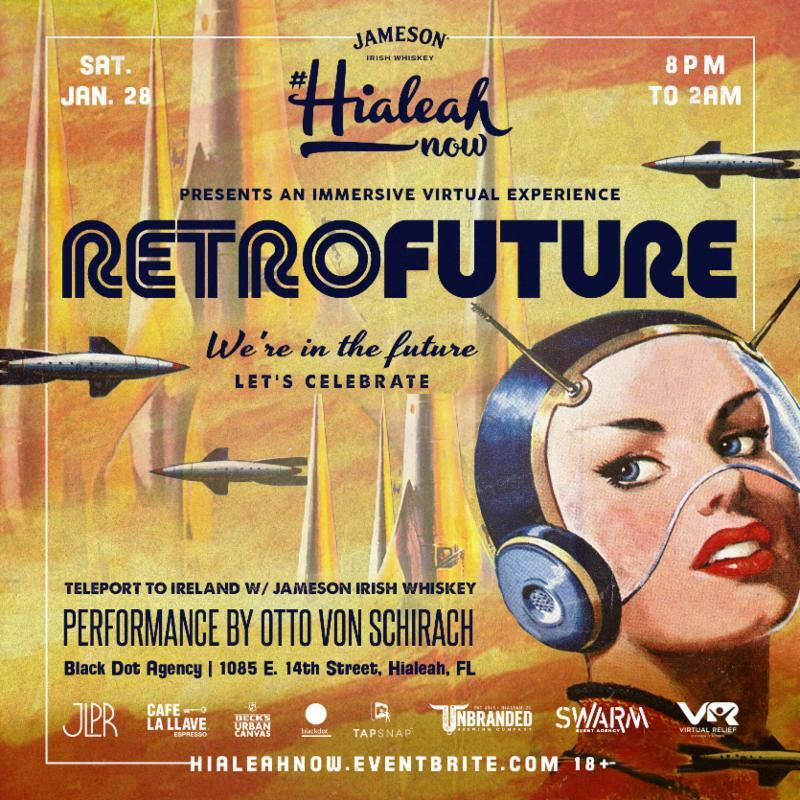 Please join us as we continue our six-month long #HIALEAHNOW Series at the Retro Future Night presented by Jameson! It's 2017 and we have self-driving cars, Facetime, Snapchat filters and SpaceX! We're living in the post-space age and we're about to go to Mars. Let's celebrate the fantasy and excitement of the post-modern 1960s and pay homage to its vision of our future. This "Retro Future" indoor New Year's party will be located in one of Leah Art's District's coolest new locations and will feature Miami's own time traveler straight from the Bermuda triangle, Otto Von Schirach. 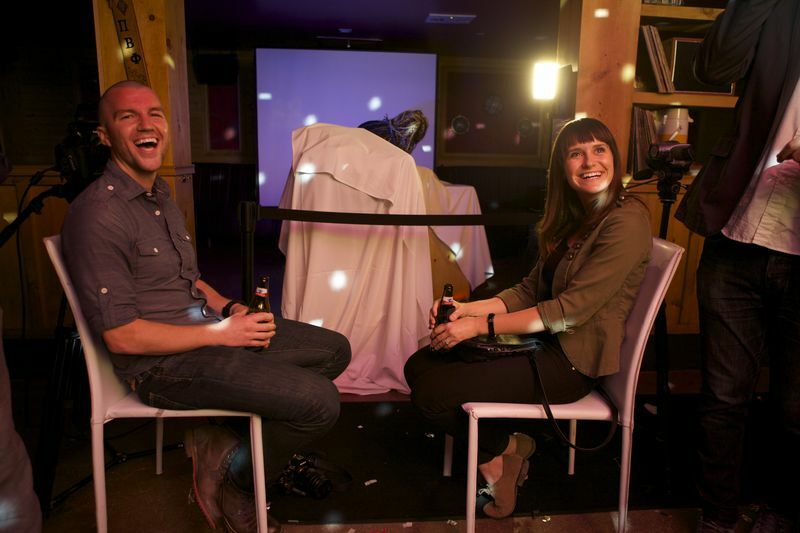 FilmGate Interactive will immerse you into their virtual world, a 10-minute VR original experience. We're proud to partner with them to bring you a sneak peak of FilmGate Interactive Creative Conference coming up on February 3-5. Virtual Relief will create video mapping installations that will completely transform the space surrounding you to zoom you into another plane. 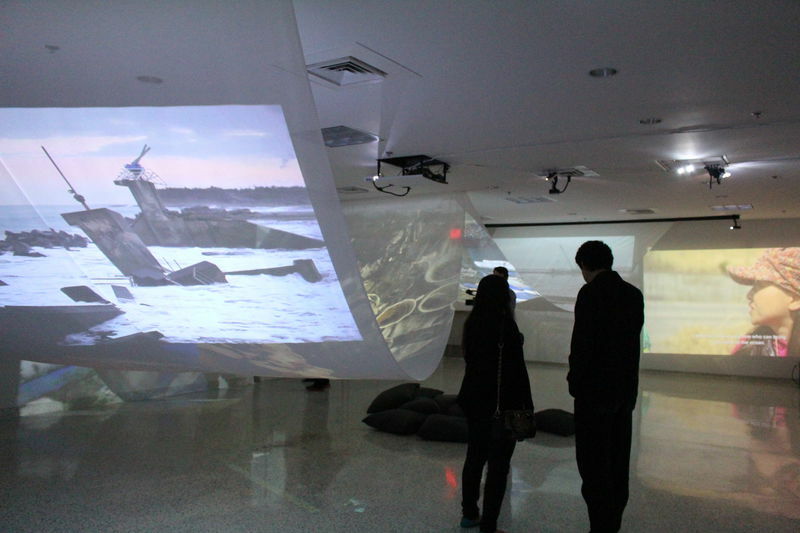 Remember III Point's video art installation by Veronica Gessa aka Mokibaby? 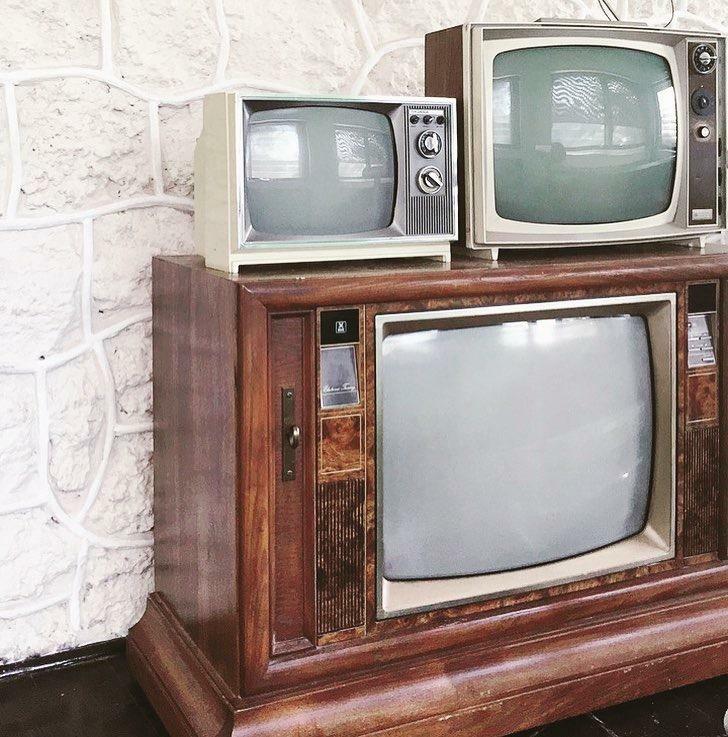 Her retro TV sets will be LIT at the Leah. 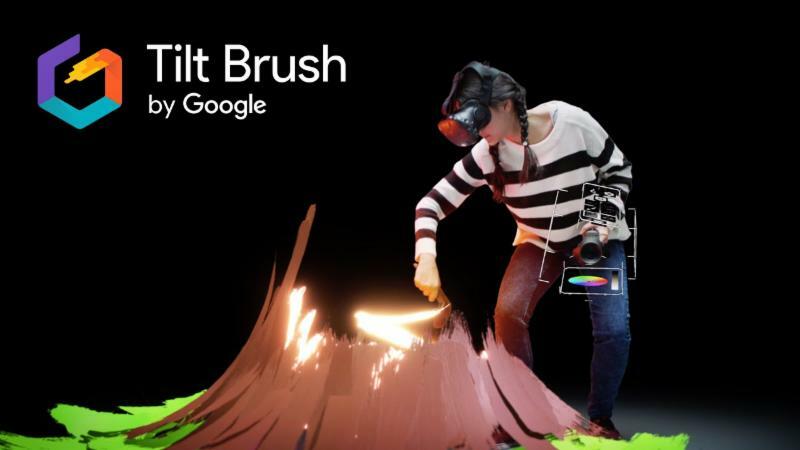 Live inside your own painting with Google Tilt Brush to paint in 3D space using the room as your canvas. We're in the Future... Let's Celebrate! Connect with FilmGate Interactive Creative Conference on February 3-5. Hialeah's Southeastern industrial corridor rose to prominence during the 1980s as one of the largest and busiest areas of production and manufacturing in Florida. As a result of modernization combined with the effects of outsourcing, the uses that were once prevalent in the area dissipated and this particular area was all but abandoned. Since that time, a medley of different uses has been incorporated into the area including a heavy presence of some of Miami-Dade County's most prolific thrift stores. These thrift stores have been instrumental in introducing Hialeah to an entire generation of antique lovers and artists. The Hialeah Artist Live/Work Overlay District, also known as The Leah Arts District, enjoys a strategic proximity to the newly proposed Hialeah Market Station development project, Miami's artistic hubs, and other destination areas within Miami-Dade County. Because of it's location and highly affordable price per square footage, Hialeah's new Artist Live / Work District is in a position to play a vital and important role in the artistic and cultural development of not only Hialeah, but the entire South Florida community. Starting January 20, Photographing Freetowns will exhibit a series of poignant photographs of African American life in Depression-era Kentucky. The photographer, Helen Balfour Morrison, traveled from her home in Evanston to photograph life in the “freetowns,” also known as “hamlets,” which developed in Kentucky as all-black communities originally settled by freed slaves after the Civil War. Her images chart the daily lives of these individuals, picturing their work, domestic rituals, and social life. Morrison lived and worked on Chicago’s North Shore, where she achieved renown for her “Great Americans” series, portraits of notable cultural figures such as Mies van der Rohe, Amelia Earhart, and Frank Lloyd Wright. Beyond the studio, she experimented with documentary photography in rural Kentucky, working with the communities in these freetowns throughout the 30s and 40s. The exhibition concentrates on these ventures outside of her studio, traveling to the Bluegrass region of Kentucky where Morrison photographed the men, women, and children of the freetowns at home and at work. When originally exhibited in the mid-20th century, these photographs garnered critical acclaim, though they have since faded from prominence in the art world. This exhibition aims to pose questions (rather than answers) about this neglected artist and her work, inviting more research into Morrison’s opus and the relationship between photographer and photographed. The exhibition will feature nearly 80 of Morrison’s original prints, together with contextual materials from the Newberry’s collections. Also on view will be Morrison’s original home movie of her 1935 trip, plus a slideshow of all of her almost 500 Kentucky images. Thanks to the recent acquisition of more than 110 vintage photographs and 500 negatives from the Morrison-Shearer Foundation, the Newberry has become the largest repository of the work of 20th-century photographer. The Newberry aims to make these works available for further investigation, through this exhibition, use in the reading rooms, and in digital galleries. Such study might be undertaken by researchers interested in photography as an art form, historians exploring the history of race or rural labor in America, or genealogists filling in the details of their family trees. Photographing Freetowns will open Friday, January 20, 2017 and run through Saturday, April 15, 2017. Admission to the exhibition and all related programing is free. Photographing Freetowns is sponsored by the Morrison-Shearer Foundation, Joan and Robert Feitler, and the Rosaline G. Cohn Endowment for Exhibitions. Starting Thursday, January 12th, Fifolet Cajun & Cocktails will offer Late Night Happy Hour seven days a week. About Fifolet Cajun & Cocktails: Named for the mystical blue lights that float above the bayous in Louisiana, Fifolet offers guests a memorable yet casual dining experience, vibrant bar scene and authentic taste of Southern culture – all under one roof. Executive Chef Kevin Crouse (formerly of Nouveau Tavern, the Mid-America Club and Fairways) has created a menu that combines classic Cajun and Creole flavors with unique preparations and unexpected ingredients. Crouse isn’t the only cook in the kitchen, however: Corey Gillom has joined Fifolet as the restaurant’s Chef de Cuisine. Gillom, who was named “Chicago’s Best Up & Coming Chef” by Chicago Reader in 2013, previously held culinary positions with Longman & Eagle, Rodan and American Cut Steakhouse in New York, where he worked under Top Chef alum Marc Forgione. The walls of the 60-seat restaurant are covered with an eclectic collection of paintings and Mardi Gras masks, all of which were created by New Orleans artists. A large fireplace surrounded by bookshelves makes the front room of Fifolet especially inviting on cold winter nights. The large centrally-located bar has ample seating, making it ideal for those who want to grab a drink with friends, unwind with colleagues after a long day or enjoy a nightcap with their significant other. Fifolet accepts reservations for parties of all sizes and walk-ins are always welcome. The restaurant & bar is open Monday – Friday from 5:00 pm – 2:00 am, Saturday – Sunday from 3:00 pm – 2:00 am. For more information, please visit www.fifoletcajun or call 773-384-6886. Join Silver Eye and Point Park University as we host artist Duane Michals for an evening of his own short films and an artist talk. Michals will showcase his new body of work, Talking Pictures, which consists of a dozen short films that were written, directed, and at times acted in by the artist. Seating for this event is limited! Talking Pictures is a new body of work consisting of a dozen short films created by Michals who wrote, directed, and at times acted in them. Michals created this new body of work in the same pioneering spirit that fuels his ongoing discovery of distinctly new ways of considering the medium of photography. Themes central to his investigations are addressed in each film, which consistently maintain his ever-evolving study of the essential aspects of being human. Steeped in cinematic history, Michals draws inspiration from a sophisticated range of sources - early stars of the silver screen such as Charlie Chaplin as well as esoteric French illusionists like Georges Méliès. Parallels can be seen between Michals' movies and those of experimental, underground filmmakers like Kenneth Anger, whose work, as does Michals', openly addresses the subject of homosexuality. Michals' films revisit, reexamine, and reinterpret topics that have preoccupied the artist throughout his career, specifically issues of identity, love, and loss. This event is co-presented by Silver Eye Center for Photography and Point Park University. 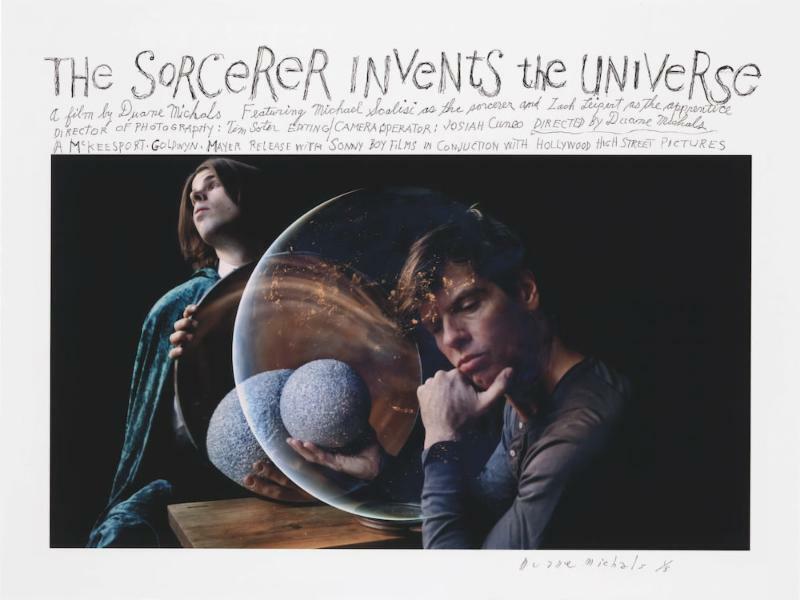 Image credit: Duane Michals, The Sorcerer Invents the Universe, 2016. Courtesy of the artist and DC Moore Gallery, New York.